With MyScreeningReport.com® you are in control. 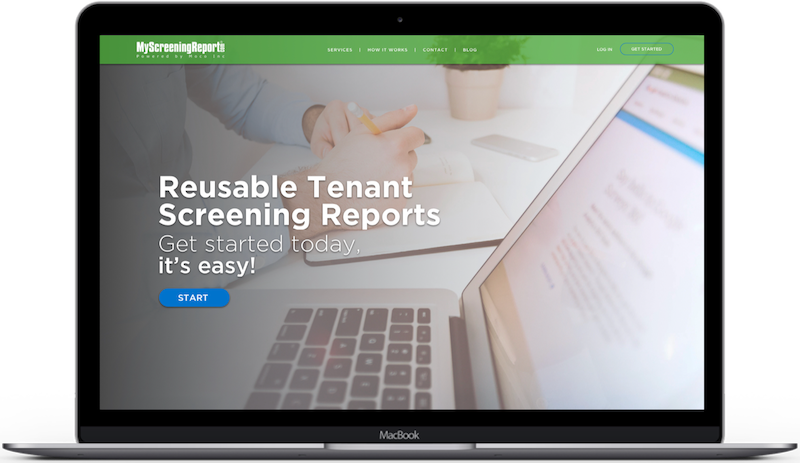 Simply order your report, review the information, and then share your report through our secure website with your landlord. This means you see your report before you apply so you’ll know if you qualify for a rental property up front. MyScreeningReport.com® reports are uniquely reusable. That means you pay one application fee and can share your report with as many landlords as you choose (for 30 days) at no additional charge! You’ll see your MyScreeningReport.com® report before you apply so you’ll know up front if you qualify. And say goodbye to paying multiple application fees. With MyScreeningReport.com® you pay for one report and share with as many prospective landlords as you choose. The best part? It’s free to you! We don’t charge setup or subscription fees.